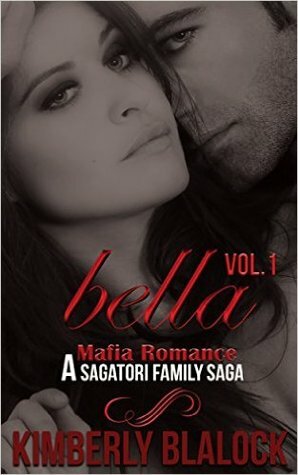 From Goodreads.com: My name is Isabella Sagatori. To my father I’m a princess, to others I’m an opportunity. They call me the mafia princess. When I first started reading this, I wasn't aware of the fact that it was considered a "serial" novel. In my opinion most (if not all) serial novels are simply a money grab by the author. Instead of putting together one full length novel with the option to continue the series, these stories (again in my opinion) are nothing more than new chapters added to the original story under the guise of the next "book" in the serial. Sometimes you get an author who is able to pull this off. However, that was not the case with this story. It started off interestingly enough with Jax coming to Bella's rescue after she is supposedly kidnapped by a man who believes himself to be her intended. However, that was probably the most interesting part in this entire story. After that, the story completely seems to fall apart. There is absolutely no romance whatsoever between Jax and Bella. In fact, I found myself wondering just why he did agree to marry her if not to claim the "throne" so to speak when her father passes on. There is very little getting to know these characters, and even the couple of would be major plot developments in this story seemed under played. I wish the author had taken her time and given us a fully developed story. Overall - This is not a series I will be continuing with. I simply cannot justify spending two dollars for an ebook that is only 70 pages long. This one was just not good enough to spark my interest in these characters.